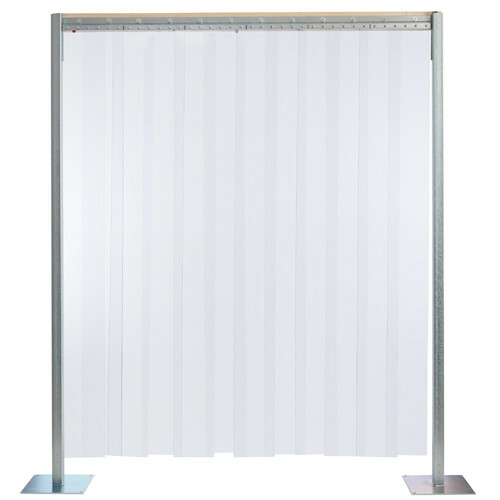 Standard PVC Strip Doors are made from clear PVC strip material. Standard PVC doors are the most common form of strip doors on the market because they provide the most visibility through the doorway. This helps to increase safety, preventing accidental injuries and damage to machinery. Standard strip doors have a wide variety of applications, both indoor and outdoor, ranging from warehouses and loading docks to personnel doors in the office. They should be used in areas where temperatures stay between 0°F and +150°F. There are several different options to choose from when picking your Standard Strip Door.